See also the Travel accommodation article. A Bed and Breakfast (often abbreviated to B&B, B and B, BnB or BB) is an accommodation type that really just modernizes the age-old, world-wide practice of travellers staying at a private residence or boarding house, often with a full breakfast included. The host family's local knowledge is often a tremendous asset in ensuring a rewarding stay. Typically there are just a few rooms and personal contact is much greater than in a hotel or motel setting. Sometimes the B&B is a converted old stately residence with the owner's family acting as staff. Bed and breakfast travelling has a loyal following as many find that they get a "home away from home" experience, often with better value than with hotel or motel stays. In developed countries today, providing deluxe bed and breakfasts has been raised to a sort of art-form. At the top end, B&Bs obviously compete mainly on two main things: bedding and breakfast. Accordingly, at the finest such establishments one is apt to find the most luxurious bedding, maybe a handmade quilt or an antique bed. Breakfast may include seasonal delights of the region or the host's speciality dish. Breakfast might be served in bed. The setting might be an historic old building with antique furnishings, manicured grounds and a swimming pool. On the other hand, almost anyone can set up a spare room and provide a breakfast. Especially where lodging is not regulated, anything is possible. Indeed, some travellers might find an inexpensive basic, clean room and bed to be the best value for them. Many of the same advantages could apply--such as convenient location and good hosts sharing knowledge of the locale. A wide range of amenities may be provided. 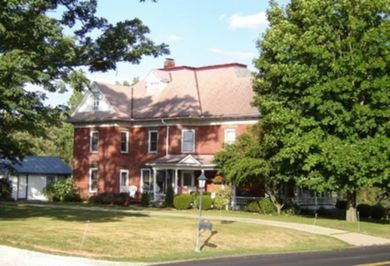 B&Bs may offer workshops on cooking, crafts, or wellness. Packages for theatre, golf, dinner, tours or adventure tours are sometimes offered. Showers and WC's may be shared with other guests or "en-suite"--directly accessed from the room and private. What are you getting? While many B&Bs are luxurious, they range all the way to sub-bargain. Find out what you can expect. What bed sizes are available? Are the pillows foam or down? Is the bathroom shared? What is the breakfast selection like and is it included in the price? Location, location, location. Research the area first. Is the location convenient to the attractions of the area? If you will be using public transportation, is it nearby? Is the neighbourhood safe and aesthetically pleasing? Pets. Do the hosts have pets? Dogs and cats are not uncommon. Are guest pets welcome? Children. If you are bringing any, make sure they are welcome. If you don't want any around, make sure they are not. Non-smoking (or smoking) rooms? Is it a smoke free environment? Ask if your special dietary needs can be accommodated. Are advance reservations required? What is the cancellation policy? What are the check-in/check-out times? Typically B&Bs have a stricter policy than a hotel. Is there a minimum stay? Usually, a Bed & Breakfast is owned and managed by an individual. If you cannot speak to someone you know who has visited there, visit first, or a call to the owner would be a good idea. Ask about the property, and the kind of visitor they normally attract. Some offer "specialities", like horse back riding, gourmet dining, and weddings. Some cater to older people, sexual preferences, or other niches. They will appreciate your call and likely send you information on their facility and the area. Don't be shy, ask your questions. Offerings for Bed & Breakfasts vary from castles to inexpensive rooms close to fishing or hunting camps. All of the furnishings and at times, sport equipment provided, are the property of the lodging owner. In these times of digital photography, it is not uncommon for the owner to photographically inventory the room prior to your occupancy. Make sure anything you remove from the room or property is in plain sight before leaving. This will prevent the items being billed to your credit card. You do not want to pay $350.00 for that cute 18th century ashtray. It can be a daunting task to find the right quality of accommodation when browsing through the hundreds of area bed and breakfast websites. Thankfully there are some short-cuts through the blurb and confusion to simplify your choice. Firstly, it is a fair rule of thumb to state that a website reflects its business: exhibiting the qualities likely to be found in the bed and breakfast or hotel. On their website you should expect to see: a website availability calendar with easy online reservations, a toll-free telephone service, and ample easy-to-navigate information. A little “reading between the lines” will tell you a great deal and help you make the right quality choices for your vacation or break to ensure that your expectations are fully met. In some areas breakfast is not always served. Be sure to understand when booking. In Cuba these types of accommodations may be referred to as a casa particular. In France B&Bs are called chambres d'hôtes. In Spain B&Bs are called "casas rurales". Gîtes de France , 59 rue Saint-Lazare, 75 439 PARIS Cedex 09, Tel: +33 1-49 70 75 75, fax : +33 1-42 81 28 53. Several regions in Spain have their own associations, and there are many commercial websites offering booking services and information about casas rurales. Some casas rurales also offer self-catering accommodation. This page was last edited on 6 January 2016, at 15:24.